We lead with quality and service, and we compete on price! Let us help you help your clients! 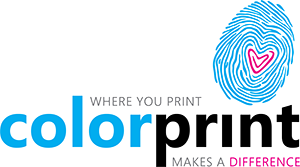 When your clients need a referral to a printer they can trust, send them to Colorprint. You’ll help you save them money while getting outstanding results—and you’ll also earn print credits toward your own printing needs. It’s a true win-win for everyone involved! Call today and ask for Mark. He’ll design a pricing plan that’s sure to keep you (and your clients) coming back.